By now, you’ve already made up your mind whether or not you will see the movie, “Noah.” Or, you have seen it. If you look around #NoCamo much, you’ll know that I’ve already weighed in on the subject. A new aspect of this issue has presented itself: the Pseudo-Christian Cinematic Apologist (which will hence be referred to as “PCCA”). 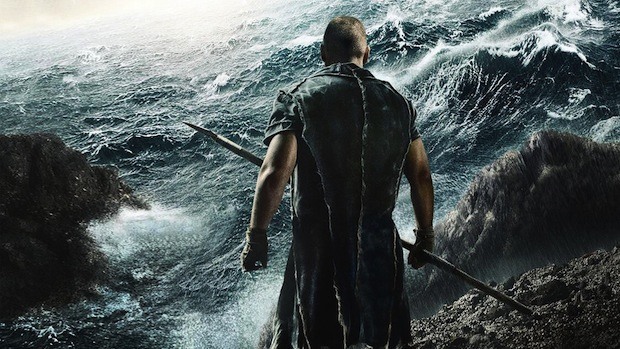 A PCCA rejoices that Hollywood has endeavored to create a Biblical epic at all. They say that Christians that expect a Biblical movie to be, well, Biblical, are not seeing the silver lining of the dark flood-inducing clouds. The Bible is being committed to film (or hard drive, or pixel, or whatever). We should be happy! So what if it departs from the “story?” People will go to the movie to be entertained, and will learn about The Creator in the process (Noah doesn’t mention God, you see). You know, I see their point. Never mind that the actual God wrote an actual Book that tells the actual story of Noah and the flood. Never mind that it doesn’t need embellishment, and it isn’t wrong. Never mind that the director has proclaimed this movie the least Biblical movie ever. Never mind that there is an ongoing debate about the origins of the universe, and that the Flood is a key piece of disagreement among Evolutionists and Creationists, and the fact that the Flood can so easily be fictionalized is detrimental to the apologetic science effort. Why shouldn’t we as believers go see it? The PCCAs say we should! We should tell our friends. It will even give us a chance to let them know what parts of it are not in the Bible, right? No way that will be confusing. The point? There is a growing anger against God, the Bible, and, increasingly, believers in the world today. If we allow the world to rewrite the very basic elements of our beliefs, we will be taking multiple steps backwards in our ability to inform and witness to those who desperately need Christ. Further, as far as I’m concerned, a purchased ticket equals a financial vote. Buying a ticket for such a movie sends the message that this is what we consumers want. I do not want this, so I will not give them my money. We ought not give up ground on the issues that matter. Sure, it’s just a movie. But it’s a movie about the Word of God. And the licenses taken are not artistic or entertainment-driven. They co-opt the story. They trivialize the facts and bend history. They lie about sin and God. And they won’t get my vote.